Postojna Cave is Slovenia’s most famous and most-visited tourist attraction, as well as one of the largest karst monuments in the world. EXPO Cave Karst is the largest permanent exhibition on Postojna Cave and the karst features around the world, where visitors can learn everything there is to know about the origin and tourism-related development of Postojna Cave. The exhibition features interactive presentations of contents that speak volumes about the formation and extraordinary history of the tourism development of the most famous show cave in the world (more than 38 million visitors). 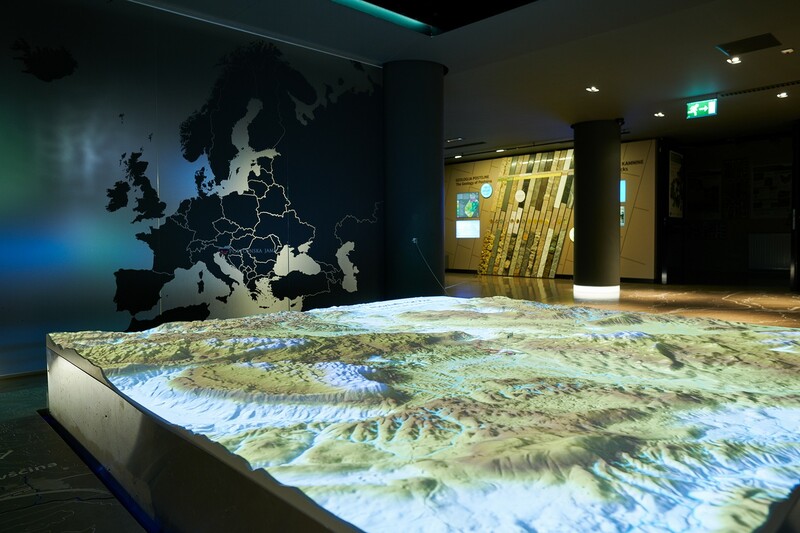 Visitors get to learn about the karst and karst features through projections of various contents onto a three-dimensional model, discover the peculiarities of the karst environment and learn about all superlatives and milestones attributed to Postojna Cave on the Wall of Fame. The exhibition is of interest to visitors who are not familiar with the karst or caves and to experts alike. 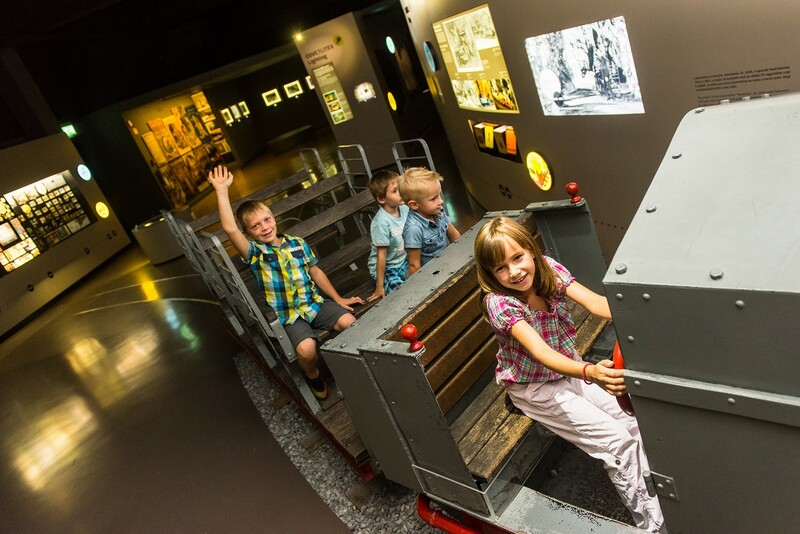 Special attention is devoted to children, who are guided through the exhibition interactively by an olm and a slenderneck beetle, and can even try their hand at driving a one-of-a-kind cave train. Fun and interactive. The company Postojnska jama d.d., which manages Postojna Cave, Slovenia’s most-visited tourist attraction, had the option of continuing to provide visitors with nothing but conventional guided cave tours for a number of years. However, the company’s management, which constantly strives for improvement and expansion of the range of products and services offered to visitors, decided to realise a century-long ambition to set up of a one-of-a-kind tribute to the karst world. In 2015, the world’s largest interactive exhibition on the karst was thus added to a wide range of available themed tours of the cave system. The exhibition perfectly complements the Postojna Cave tours. The exhibition allows visitors to understand the complex geological history of the karst and its formation. Visiting the exhibition before they tour the subterranean passages makes it easier for them to follow the tour guides’ commentary and understand how individual cave formations in the cave are formed. However, if they see the exhibition after touring the cave, this provides them with answers to the questions that they might have thought of during the tour. Since the exhibition has been set up in a way that caters to different types of visitors, each visitor can find suitable content depending on their curiosity on the one hand and their previous knowledge on the other hand. A tour of the exhibition and the cave, combined with other services, is part of various visitor package deals, by means of which we succeed in increasing visitors’ length of stay at the destination, and consequently also consumption per individual visitor. The principles of sustainable development were one of the key guidelines in planning the exhibition. One of the exhibition’s subthemes is in its entirety dedicated to the interpretation of what Karst aquifers mean in terms of water supply and the degree of vulnerability of the subterranean karst world and the groundwater. This helps visitors become aware of the vulnerability of karst formations that are formed over thousands of years in closed, isolated areas. The exhibition also includes a story aimed at uncovering the mystery of olms’ reproduction in the form of so-called "video morphing". In 2018, Postojna Cave will celebrate an important anniversary, i.e. the 200th anniversary of the discovery of the most beautiful parts of Postojna’s subterranean world. The exhibition collection was thus in a way a one-of-a-kind introduction to the celebration of this anniversary, as it was opened after 111 years of ambitions and ideas of setting up a Postojna Cave museum. Since Postojna is also home to the Karst Research Institute (Research Centre of the Slovenian Academy of Sciences and Arts), which is one the world’s most important such institutes, the institute’s knowledge was combined with our experience, and the company Postojnska jama d.d. thus more than successfully accomplished its mission. Expo Cave Karst is an exhibition that presents the karst and Postojna Cave in terms of space and time in a modern and interactive way. It consists of three parts, i.e. the karst, the fauna and humans. 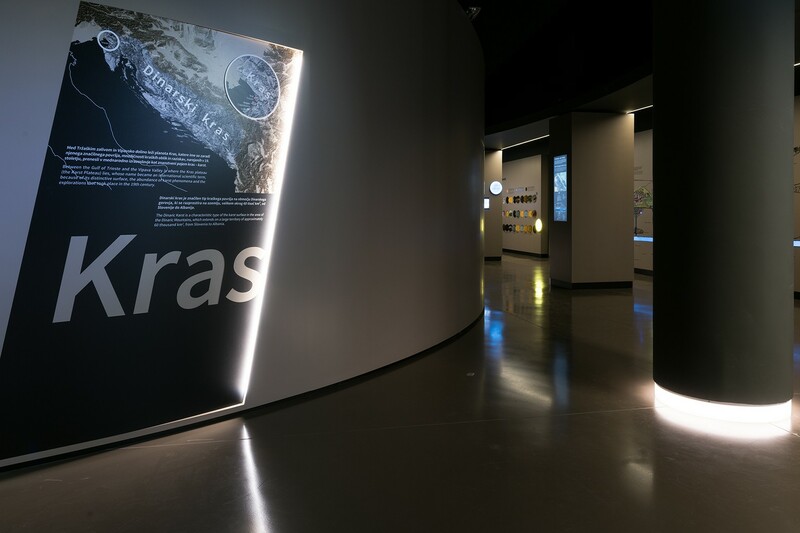 The first part of the exhibition is dedicated to the karst’s geological history and its formation, its surface and subterranean features and formations. Of course, most of the attention is devoted to the subterranean karst world – to its formation, its various forms, age, remarkableness, and its vulnerability. The key characteristics of the subterranean karst world were brought together in one place, with the most attention, as expected, devoted to Postojna Cave, the queen of all caves. Karst aquifers supply drinking water to no less than half of Slovenia. Therefore, one of the important topics addressed by the exhibition are the forms of potential pollution risks that may endanger the vulnerable subterranean world. In addition to caves and the karst, the exhibition is also devoted to the cave fauna, to the animals that inhabit the subterranean world. It presents the extinct cave-dwelling animals, occasional cave inhabitants, as well as the real cave animals that are no longer able to survive outside caves. Not only is Postojna Cave the cradle of speleobiology – owing to the fact that the first cave-dwelling animals were discovered here, as well as the largest number of such animals, but Postojna Cave still holds the world record in terms of cave-dwelling animals’ biodiversity, and our aim was to make sure visitor learn about it. We highlighted the cave’s important place in the birth of new sciences – speleology and speleobiology. 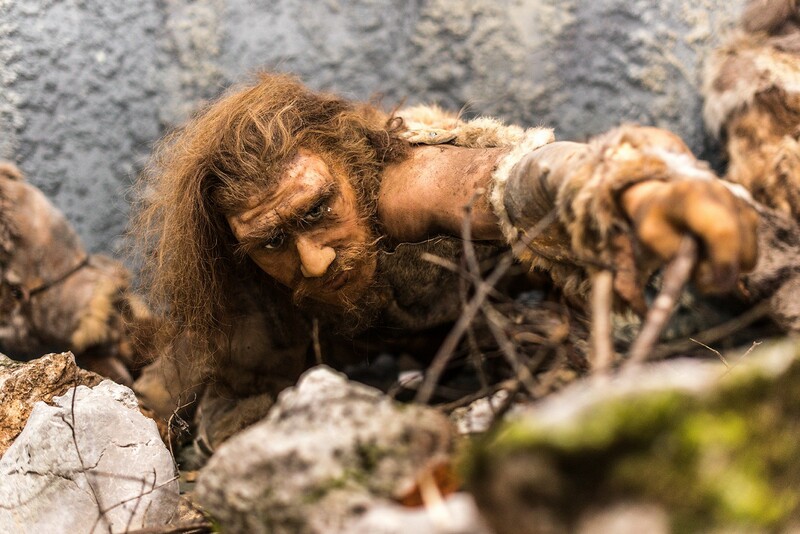 The third and last part of the exhibition present humans in relation to caves; at first, as ice-age inhabitants, who entered caves looking for shelter, and later as explorers. 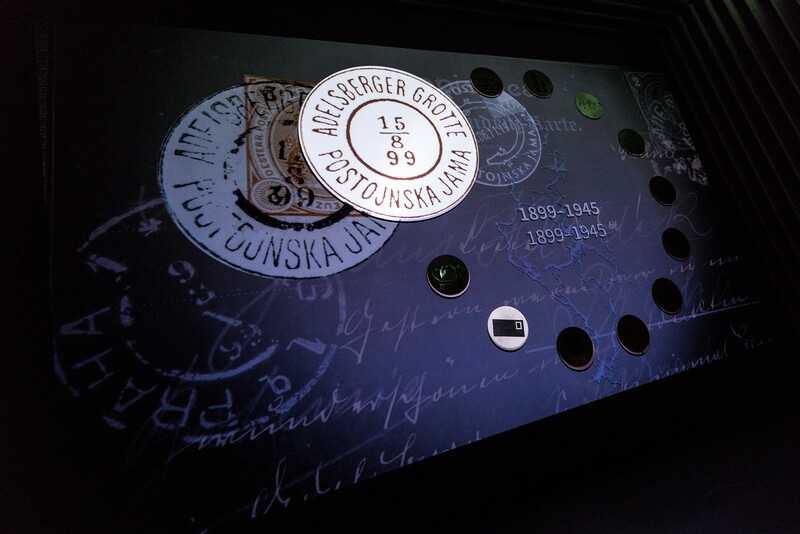 Over the last 200 years, Postojna Cave has experienced tourism-related development to a more intense extent that any other cave in the world and the exhibition features the most interesting milestones and achievements of individual historical periods. In a way, Postojna Cave constitutes the history of Slovenia over the last two centuries. EXPO Postojna Cave Karst is an important addition to the existing range of products and services available to visitors. It has enhanced the cave interpretations with new contents previously not available to visitors. The world’s largest permanent exhibition on caves and the karst features has thus fulfilled the dreams of many cave managers and generations that had worked towards realising this idea, which took quite a long time to put into action, because museum exhibitions are not the most lucrative ventures. Postojna Cave has proven to be quite the opposite and the exhibition attracts large numbers of visitors from all over the world. 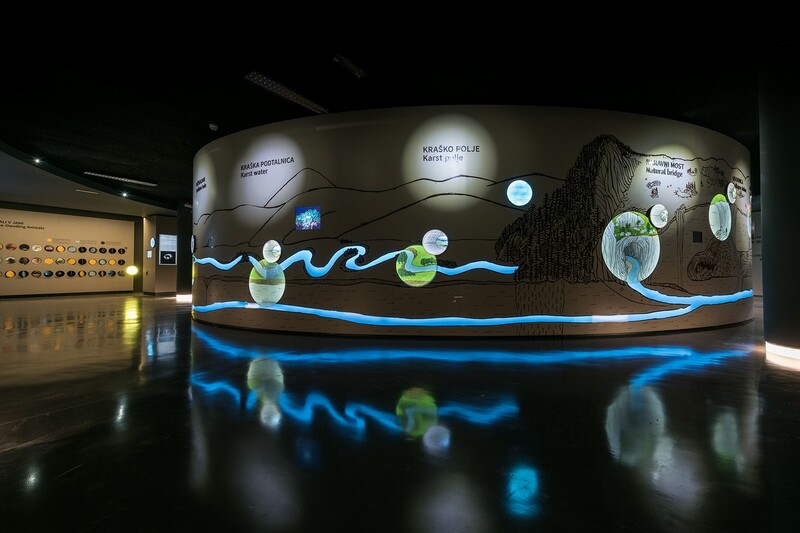 Although it is referred to as an exhibition, the EXPO Cave Karst project is setting new (Slovenian and wider) museum standards, both in terms of technology and the topics it covers. It makes visitors familiar with the subterranean karst world and the life inside caves in a one-of-a-kind way, i.e. by means of analogue and digital tools that are the fruit of Slovenian knowledge and R&D, as well as collaboration with Slovenian professional institutions. For this achievement, Postojna Cave has received the 2017 Sejalec award for its one-of-a-kind and outstanding interpretation of natural and cultural heritage, through which it has enriched and complemented Slovenia’s best known tourist attraction. 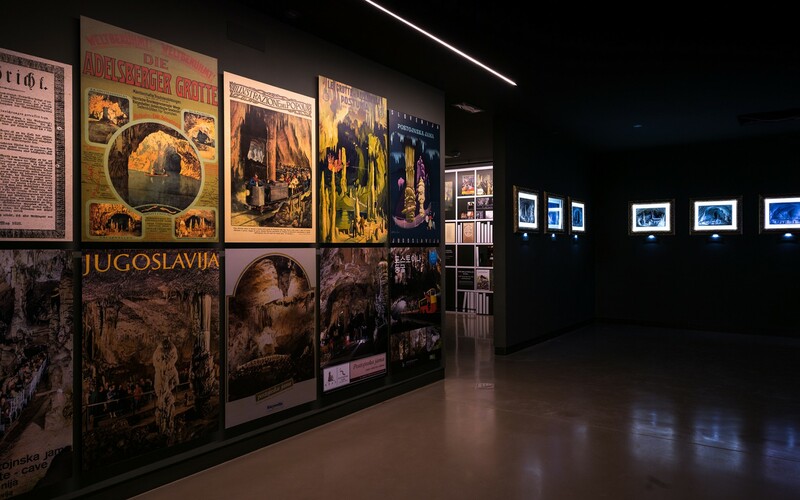 Considering the high number of visitors and the level of their satisfaction, we believe the exhibition is a most welcome addition to visitors’ experience of the subterranean world around Postojna and in Slovenia in general. No other Slovenian museum is visited by a larger number of visitors than EXPO Cave Karst. Postojnska jama d.d. is a company that manages the natural monuments Postojna and Predjama cave systems and the Predjama Castle. Postojna Cave, which includes all the caves of the Postojna Cave System and the Cave under Predjama Castle, is state property for which the company, as a concessionaire, pays a concession fee. A part of the concession fee is returned to the cave infrastructure in the form of investments, whereas a larger portion belongs to the municipalities of Pivka and Postojna, as well as the state. As a successful enterprise, the company contributes a large share of the concession fee to the local environment, thus improving the welfare of the local population. The company also has a contract with the Republic of Slovenia for the management of the Predjama Castle. The company Postojnska jama d.d. continues its long-established, almost 200-year tradition of managing cave tours and events, a tradition that dates back to the early 19th century, when the cave was set up as a show cave. Since then, the cave has been toured by more than 38 million visitors. In 2016, all the sights that are managed by the company were visited by a total of over one million visitors, which equals one third of all visitors to Slovenia. The company is just as successful when it comes to the development in terms of the hospitality and hotel industry. In 2016, the company funded the renovations of the four-star Hotel Jama. The company’s mission is to create one-of-a-kind experiences focused on natural and cultural heritage in a way that preserves the heritage for future generations. The company offers a variety of cave tours, i.e. regular cave tours, caving adventures that take small groups to non-tourist corners of the caves, educational (natural science-oriented) programmes for schoolchildren (they include seeing the cave-dwelling animals), tailor-made incentive programmes for individual groups etc. The programmes include various culinary experiences, which perfectly complement the range of services and adventures offered to visitors. In 2015, the company opened an exhibition on Postojna Cave and the karst – Expo Cave Karst, the largest exhibition of its kind in the world.